Carla Del Ponte, the Swiss former prosecutor of the United Nations war crimes tribunal, has strongly criticised the international community – and the UN in particular – of thwarting any efforts to bring war criminals to justice. In her new book, Im Namen der Opfern (In the Name of the Victims), she describes her time as a member of the Independent International Commission of Inquiry on Syria. She says she was deeply frustrated and quit the UN panel last August. The Swiss lawyer, who made a name for herself for taking on the mafia in Italy, also said she had never seen atrocities more heinous than in Syria. She says crimes against humanity are committed by all sides in the Syrian conflict every day. But the brutality and intensity of these crimes – the torture in prisons and violence against women and children – even surpassed the genocide in Rwanda and the conflict in the former Yugoslavia. 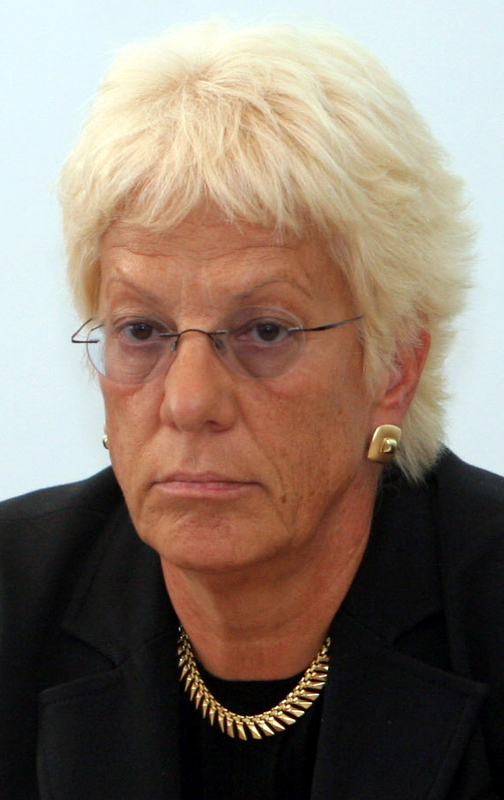 Del Ponte was chief prosecutor of the International Criminal Tribunal for the former Yugoslavia (ICTY) from 1999 to 2007. She served in the same role for the International Criminal Tribunal for Rwanda (ICTR) from 1999 to 2003. She also served as Swiss ambassador to Argentina. Del Ponte is known for her outspokenness. She published several books about her experiences as an international war crimes prosecutor and received several awards. You want Islam law to replace UN? The extremist groups Muslim want to replace UN with Syariah law. Only Syariah law can treat all nations with justice for all. What do you have in your mind? Somi likes to put words in our mouth. The Muslim Times has always promoted the separation of religion and state. Therefore the question of Islamic Law to replace UN does not arise. – The good about the UN are its auxiliary organizations, World Health Organization, World Food Organization, International Labour Organization, International Organization for Migration etc. These should continue. The bad thing about the UN is the UN Security Council with veto powers. These have been misused all the time. If the UN Security Council cannot be reformed it needs to close. In other words the political side of the UN has failed but the Humanitarian Side was beneficial. Simple?